Sure, Wilkes-Barre/Scranton may have dodged the ultimate first round bullet (the league leading Hershey Bears), but Albany certainly brings a tough enough challenge in themselves. Yes, they dont bring the explosive lineup or the flashy statistics like Hershey does, but what they do bring is a balanced attack and one of the most dangerous scoring wingers in the AHL in Jerome Samson. They also got several key players back from the NHL because their affiliate team Carolina Hurricanes failed to make the playoffs. They did not make 2nd place behind Hershey for no reason. 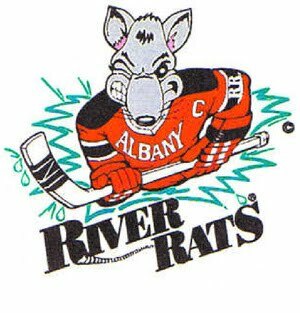 Despite the talent of this Albany squad, WBS has had a decent bit of sucess against the Rats this year. They finished with a 6-1-1 record vs Albany including a record setting 9-2 drubbing at home back in February. In the most recent game between the two teams, Wilkes Barre defeated them 4-3 to clinch a playoff spot. -RW Jerome Samson- Samson tore the league apart this season totalling 37 goals and 41 assists for a total of 78 points. He also registered a total of 332 shots on goal in 74 AHL games, meaning that he will frequently put a lot of pucks on the net. Stopping him should be #1 concern for the Pens. -C Zach Boychuk- Boychuk played 31 games with Carolina this year and totalled 9 NHL points. His experience playing with and against higher quality players and goalies should be valuable to Albany this postseason. -LW Oskar Osala- Should be a familiar name to the Pens considering all of his time spent in Hershey, and they know perfectly well what he brings to the table with both his stick and his body. Pens defense would be smart to keep an eye out for him at all times. Playoff mania across the league is here, and as always, LETS GO PENS!